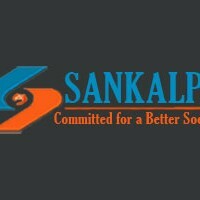 SANKALPA is a non-profit organization of acknowledged, dedicated young volunteers, aiming to support for the development of society through the implementation ICT and general social welfare ideas,believing that youth and ICT can be the key to uplift the socioeconomic aspect of the society. This is a newly established organization formed by the students, professionals, concerned and socially aware about the social factors that are hindering the overall development of the society and are well literate for finding the solution to the problem. The organization believes that through the right implication of collaborative ICT (Information & Communication Technology) and Social Service can eliminate this factors to the greatest extend and increase the social standard which will eventually help in the socioeconomic development of the nation as a whole. SANKALPA plans to organize different IT programs and trainings, research programs for the welfare of the society and the social service identifying the problems that are playing the negative role in the society and the factors that can be pushed up for the social development. They are also planning to launch the awareness program for elimination of root causes that are hindering the social development through the right implication of ICT.